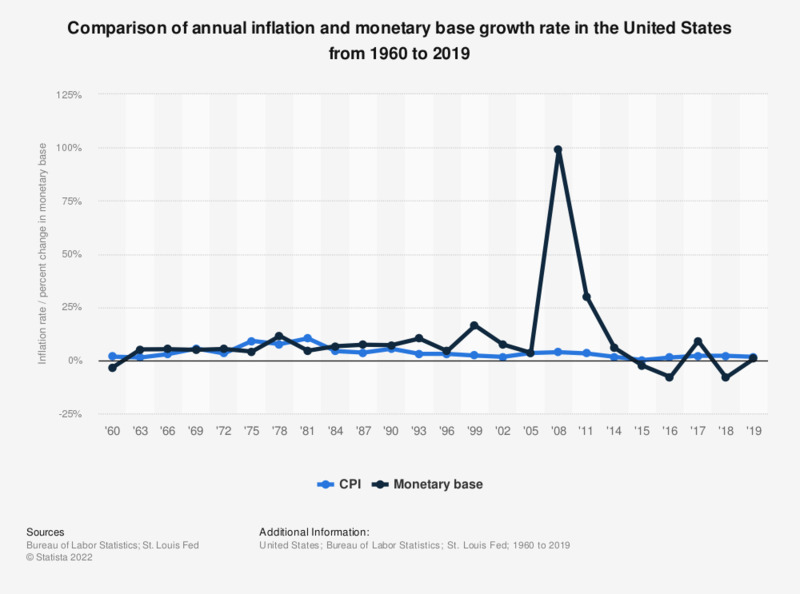 This statistic shows the unadjusted annual inflation rate and monetary base growth rate in the United States from 1960 to 2018. Historic data is shown in 3-year increments. In 2018, prices went up by 1.9 percent compared to 2017. In the same time frame, the monetary base decreased by 8.1 percent. Data on the development of the monetary base has been taken from here. End of year data used, percent change from a year ago.